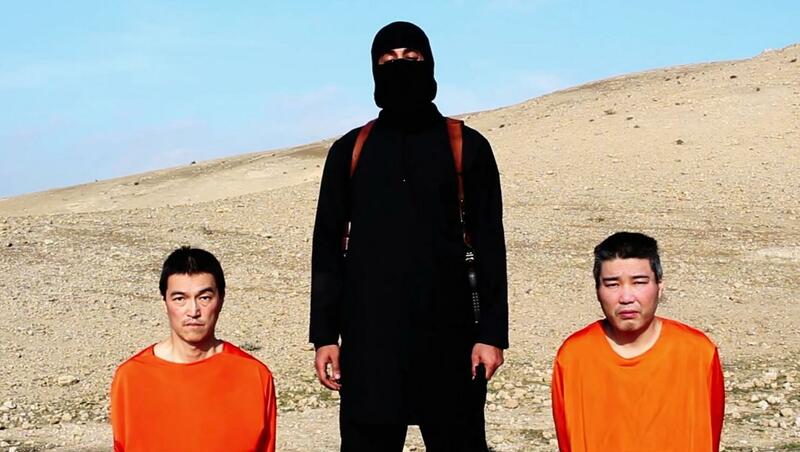 ISIS releases Japanese hostage video with $200 million ransom. ISIS releases new hostage video. ISIS released another video on Tuesday showing what appear to be two Japanese hostages the militants are threatening to kill unless a $200 million ransom is paid. The video identified the men as freelance journalist Kenji Goto, and Haruna Yukawa, a contractor with a private military company. A black-clad figure with a knife, standing in a barren landscape along with two kneeling men wearing orange clothing, said the Japanese public had 72 hours to pressure their government to stop its “foolish” support for the U.S.-led coalition waging a military campaign against Islamic State. “To the prime minister of Japan: Although you are more than 8,500 km away from the Islamic State, you willingly have volunteered to take part in this crusade,” said the militant, who spoke in English.